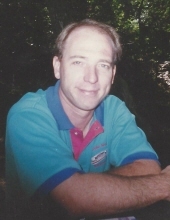 Kenneth Lubben, age 58 of Greenville, passed away comfortably Sunday, January 20, 2019 at Spectrum Health Butterworth with his family by his side. He was born in Holland, MI on December 20, 1960, the son of David and Jennie (Punt) Lubben, who have preceded him in death.Ken was the former owner/operator of Gay’s Cleaners in Greenville and a true outdoorsman. He especially enjoyed canoeing on the Flat River. He had the pleasure of doing a job that he loved, meeting people of all walks of life, and helping those in need. His family knew him as a loving husband, father and grandfather and one who would not hesitate in spoiling them.He was married to Ruth A. Heany on August 21, 1982 and she survives him along with their daughters, Leslie A. Lubben, (Fiancé, Patrick Greenway) and Elizabeth M. Hamel; grandchildren, Carly, Conner, Landon, Trevon, Aevry and Arriea; siblings, Sharon (Jim) DeMaio, Sam (Penny) Lubben, Tim Lubben, Chuck (Jane) Lubben and Ruth (Kinh Nguyen) Lubben; his brothers-in-law and sisters-in-law, Frank Heany, Kay Mauer, Jim (Sandy) Heany, Dan (Barb) Heany, John (Fran) Heany and Sharon (Ben) Lycos; and several nieces, nephews, aunts, uncles and cousins.In addition to his parents, Ken was also preceded in death by his grandchildren, Emmalyn and Henry, his brother William and his nephew, Michael Heany.Funeral services will be held at 11 AM on Saturday, January 26, 2019 at Hurst Funeral Home with Rev. Kevin Crowell officiating. Visitation will be on Friday from 2-4 PM and 6-8 PM and on Saturday from 10 - 11 AM. Memorial contributions may be given to the Juvenile Diabetes Research Foundation (4595 Broadmoor Ave SE, Ste. 230, Grand Rapids, MI 49512). Memories and messages of condolence may be shared via www.hurstfh.com. To send flowers or a remembrance gift to the family of Kenneth Lubben, please visit our Tribute Store. "Email Address" would like to share the life celebration of Kenneth Lubben. Click on the "link" to go to share a favorite memory or leave a condolence message for the family.